WORLD CHAMPION Michael van Gerwen will face James Wade when the Betway Premier League returns to the Westpoint Arena in Exeter on Thursday March 2, as Gary Anderson faces Phil Taylor in another high-profile clash. The ten-player Betway Premier League begins its four-month tour of the UK, Ireland and Netherlands next month, with all 16 nights being screened live on Sky Sports and worldwide through the PDC's international broadcast partners. The opening nine weeks see the players meet once in the league phase before the bottom two players are eliminated following Judgement Night in Cardiff. 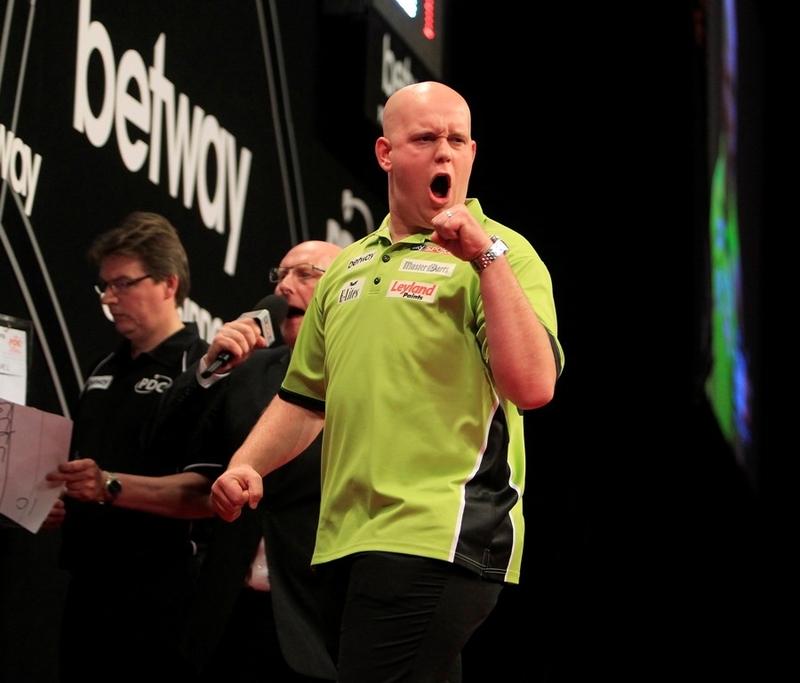 Night Five in Exeter will be headlined by the clash between reigning Premier League champion Van Gerwen - who also won his second World Championship title at the start of January - and 2009 winner Wade, in a repeat of last November's Grand Slam of Darts final. Great rivals Anderson and Taylor - who have claimed a total of eight Premier League titles and 18 World Championship wins - meet in another of the five matches to take place at the Westpoint Arena. 2014 Premier League champion Raymond van Barneveld opens the night against Dave Chisnall, while two-time World Champion Adrian Lewis plays world number three Peter Wright and Dutch ace Jelle Klaasen takes on Belgium's Kim Huybrechts. Tickets for the Betway Premier League's visit to Westpoint Arena are available by calling 0844 99 99 55 or online via www.ticketzone.co.uk. For full ticket information, see www.pdc.tv/tickets.